Jed Allan is an American actor and game show host, who is known for his roles on soap operas. He is best known for his role as Don Craig in the soap opera The Days of Our Lives (1971-1985), for which he received two consecutive Best Actor Soapy Awards. He is also known for roles such as Edward Quartermaine in General Hospital, Ranger Scott Turner in Lassie, C.C. Capwell in Santa Barbara and Rush Sanders in Beverly Hills, 90210. 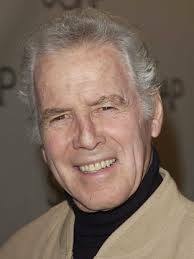 Born Jed Allan Brown on March 1, 1935 in Bronx, New York City, New York, he made his debut in 1964 as trouble-making Ace Hubbard on Love of Life. He was married to Toby Brown from 1958 until her death in 2001. They had three sons named Mitch, Dean, and Rick. *He was born on March 1, 1935 in Bronx, New York, USA. *His birth name is Jed Allan Brown. *In 1981, he hosted a game show pilot, Temptation, for Ralph Andrews and Columbia Pictures Television. *Longtime friends with Lee Stanley and Ron Masak. *Currently, he resides in Palm Desert, California.